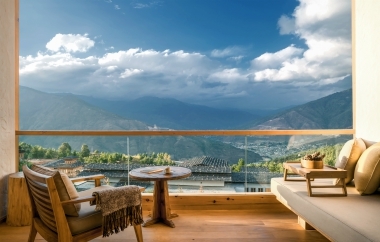 BHUTAN – March 7, 2019 – Located in the colorful Himalayan Kingdom of Bhutan famous for its Gross National Happiness (GNH) philosophy, Six Senses Bhutan celebrates its highly-anticipated arrival with the opening of its first three lodges in Thimphu, Punakha and Paro. The lodges seamlessly combine the brand’s commitment to wellness, sustainability and out-of-the-ordinary experiences with the country’s rich culture, warm hospitality and omni-present spirituality. Expansive Lodge Suite balcony includes unhindered views of Thimphu Valley. 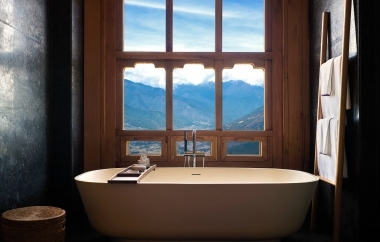 Every bathtub at our Paro lodge offers mesmerizing views of Paro Valley. 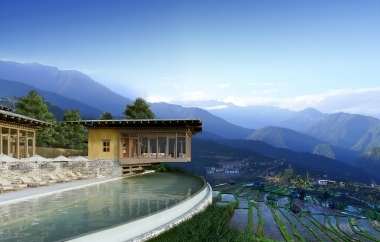 Punakha lodge, offering wonderful vistas over the rice paddies.